Sajid Khan and Riteish Deshmukh are hosting Yaaron Ki Baarat a chat show on Zee TV. 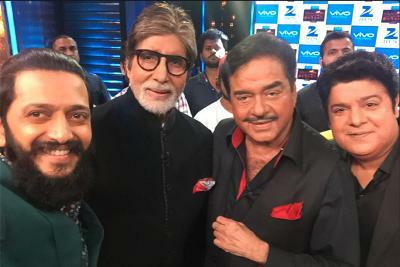 The chat show Yaaron Ki Baarat has brought together Bollywood stalwarts Amitabh Bachchan and Shatrughan Sinha for an episode. The show will have the popular Dostana Jodi and will tests celebrity friendships through a series of fun challenges and tasks . Riteish Deshmukh and Sajid Khan couldn’t control their excitement and poured out their feelings on Twitter through a series of tweets. Legendary actor, Shatrughan Sinha also expressed his feelings of working again with his close friend Amitabh Bachchan. Yaaron Ki Baarat will launch on October 8 on Saturday and Sunday at 8pm and will feature many popular friends like Yuvraj Singh-Harbhajan Singh, Pariniti Chopra-Sania Mirza, Karan Johar-Farah Khan to name a few. 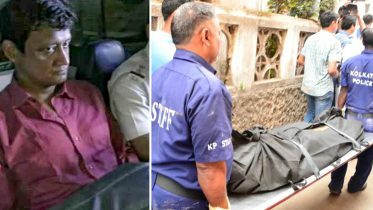 Be the first to comment on "Amitabh Bachchan and Shatrughan Sinha reunite on Yaaron Ki Baarat after 35 years"